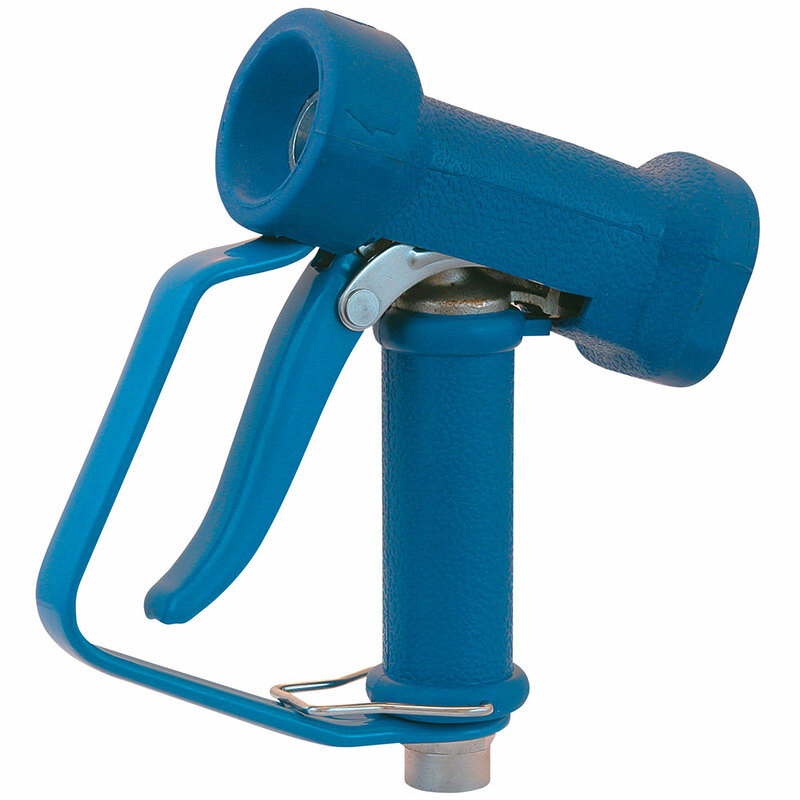 Trigger operated water guns give fingertip control of both water volume and spray patterns to ensure efficient water use and minimise the amount of spent water left to clear up. 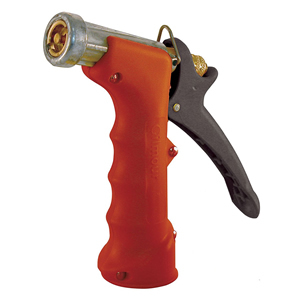 Medium duty, heavy duty and stainless steel versions are available so you can choose the most suitable gun for your application. All guns are coated in insulated anti-slip rubber. 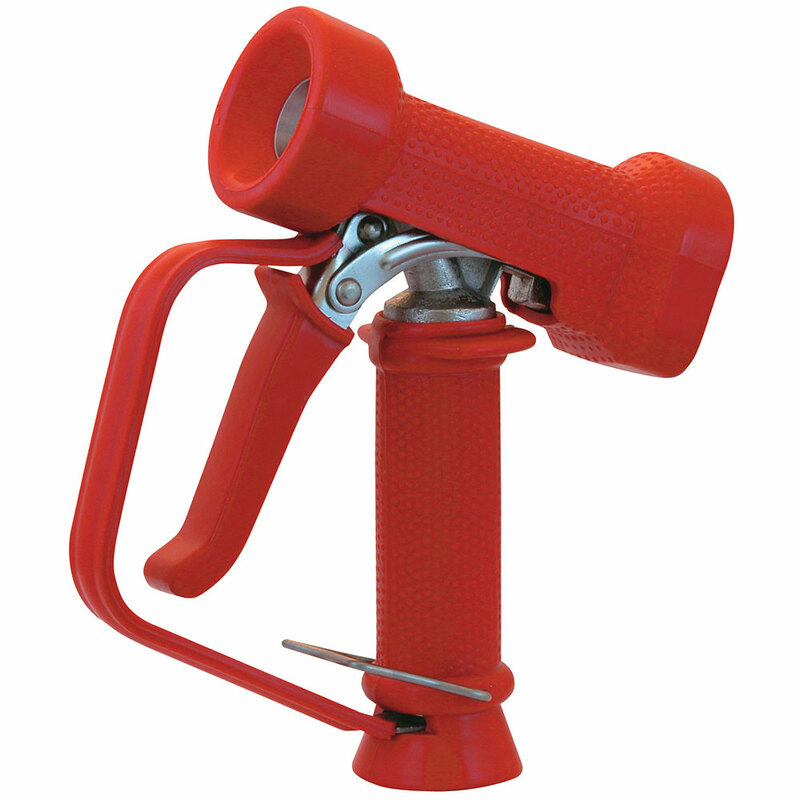 The medium duty range is designed for use with water up to 60°C and pressure up to 150psi (10 bar), they are suitable for use in applications such as; garden centres, caravan sites and car washing. 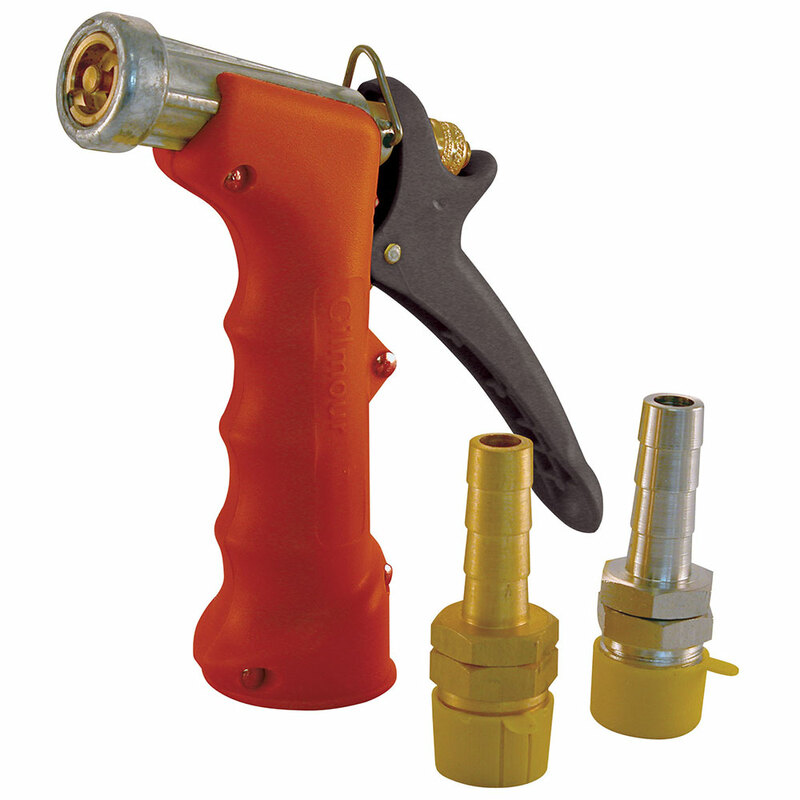 The heavy duty range is designed for use with water up to 95°C and pressure up to 367psi (25 bar), they are suitable for use applications such as; commercial garages, van and lorry wash areas or wherever an hygienic high temperature wash is required. 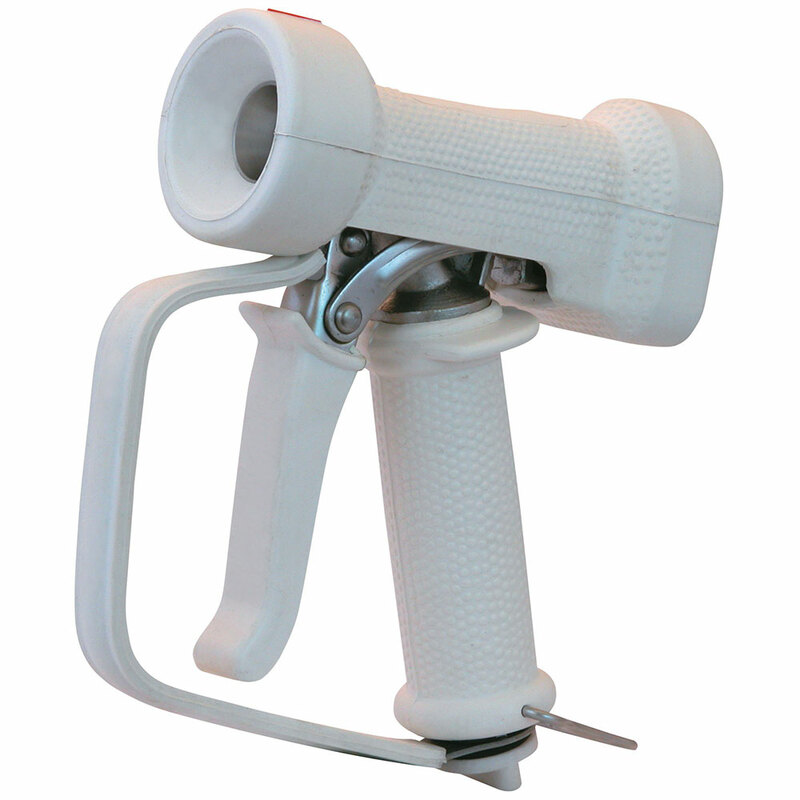 As a further option, the stainless steel guns can be purchased in red or white for use where a colour coded system for different applications is required. 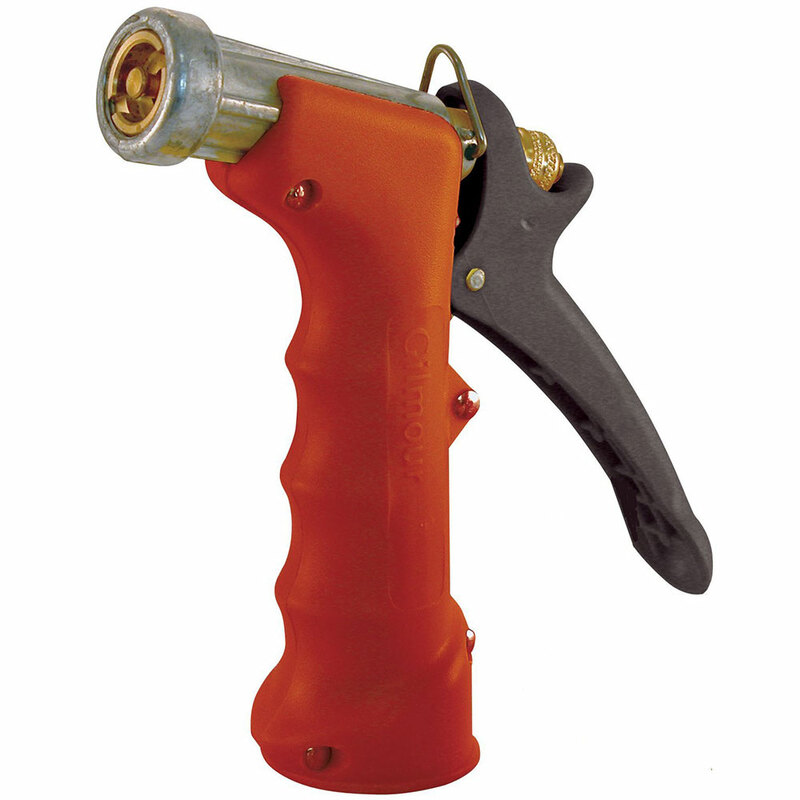 You will see trigger operated water guns used for many different applications for example; the aircraft industry for washing down aeroplanes, on farms for cleaning out animal stalls and machinery, in manufacturing plants and in fact anywhere where a directed concentrated stream of hot or cold water is required for cleaning. All our water guns are suitable for use with hot and cold water but are not for use with steam.